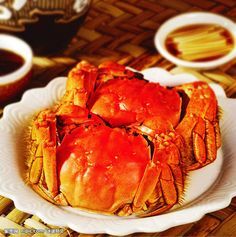 It's the season for the East Chinese delicacy, hairy crab! Here's a tutorial on how to open the intricate crab properly, with TungLok restaurants. Gastronommy visits TungLok's restaurants to learn how to peel hairy crab in the best, most efficient way possible. The following TungLok restaurants are serving hairy crab and specialty hairy crab dishes until the end of November 2014. Special thanks to Carolyn Tan, Lili, Steve Aw, and Steve Chew.